Bioinstructive scaffolds encode information in the physical shape and size of materials to direct cell responses. Electrospinning of nanofibers is a process that offers control over scaffold architecture and fiber diameter, while providing extended linear length of fibers. This review summarizes tissue engineering literature that has utilized nanofiber scaffolds to direct stem cell differentiation for various tissues including the musculoskeletal, vascular, immunological, and nervous system tissues. Nanofibers are also considered for their extracellular matrix mimetic characteristics that can preserve stem cell differentiation capacity. These topics are considered in the context of focal adhesion and integrin signaling. 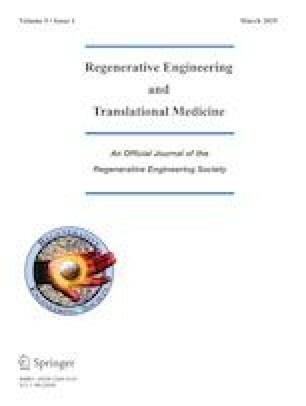 Regenerative engineering will be enhanced by construction of scaffolds encoded with shape information to cause an attached cell to create the intended tissue at that region. Nanofibers are likely to be a bioinstructive scaffold in future regenerative engineering development as we pursue the Grand Challenges of engineering tissues. Funding for this work is from the U.S. National Institutes of Health (NIBIB: R21EB019230, NIAMS: R03AR065192). Jeong HE, Lee SH, Kim P, Suh KY. Stretched polymer nanohairs by nanodrawing. Nano Lett. 2006; https://doi.org/10.1021/NL061045M.